Longmarsh Press books can be bought from independent local bookshops or through Waterstones, or direct from The Longmarsh Press, 5 Brook View, Follaton, Totnes, Devon TQ9 5FH. The Longmarsh Press was founded in 2008 by Totnes writer Bob Mann. Born in the town in 1958, he is the author of guides, histories, topographical portraits of places, stories and countless articles and reviews. 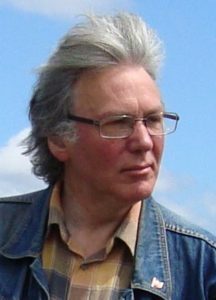 Much of his work derives from his deep sense of connection with the landscapes, history, folklore and traditional culture of Devon. He is also well known as a speaker and leader of guided walks, having founded the Totnes Ghost Walk in 1992. He has also been Folklore and Dialect Recorder for the Devonshire Association. Contact Bob and the Longmarsh Press at: bobmann@supanet.com or telephone 01803 847930.